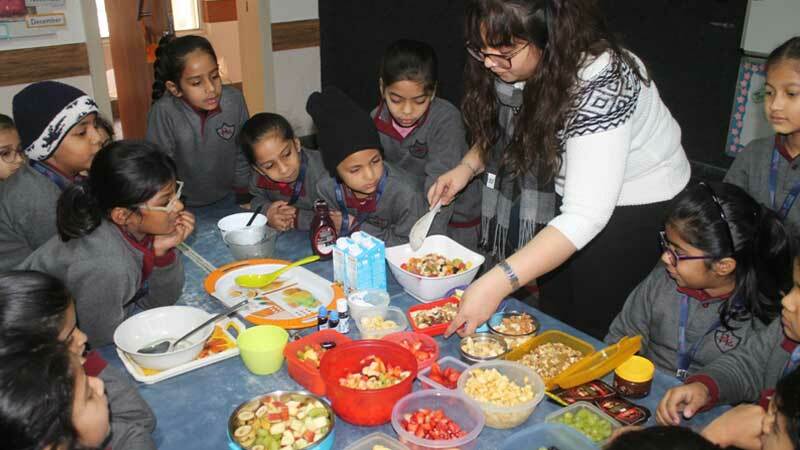 To familiarize Grade-I students of MRIS-21C Faridabad with the concept of nutrition and its benefits, a Fresh Fruit Salad Activity was organized for them based on the ongoing lesson in English, ‘Let’s Go Cooking and Nutrition’. 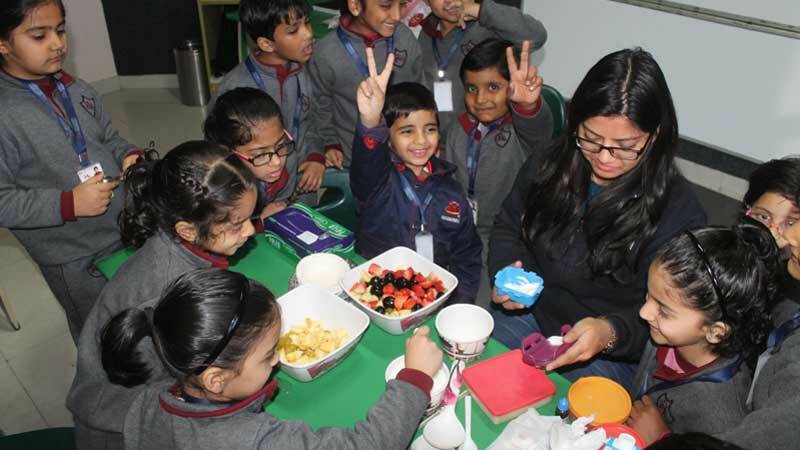 Through this activity, students were able to identify the fruits and gained a basic understanding of the nutrient value of fruits and their taste. 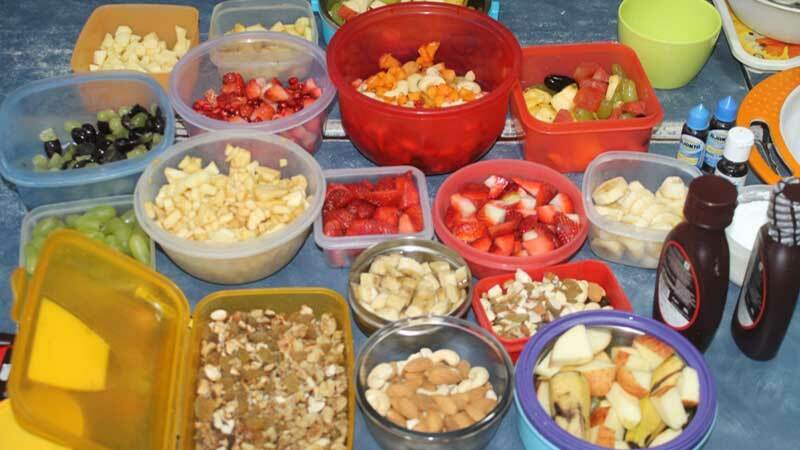 Such activities go a long way in encouraging the children to eat healthy and nutritious food.